Fresh Eggs from Opa's free range chickens. Opa's Frikin Chikins provide us with Farm Fresh Eggs daily.His chickens are Free Range during the da.. 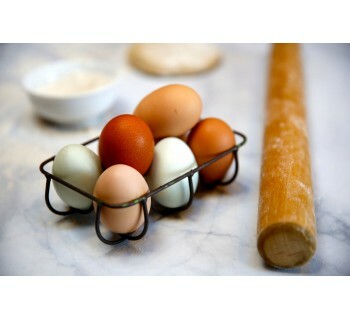 The French Pastry Chef's demand only the Richest Free Ranch 'French Black Copper Maran' EGGS for Bak..